Product code: W499cc Categories: Sold Items, Sold Watches. Patek Philippe are without a doubt one of the most highly regarded watch companies in the world and rightly so when you look at the superb movements that they produce. 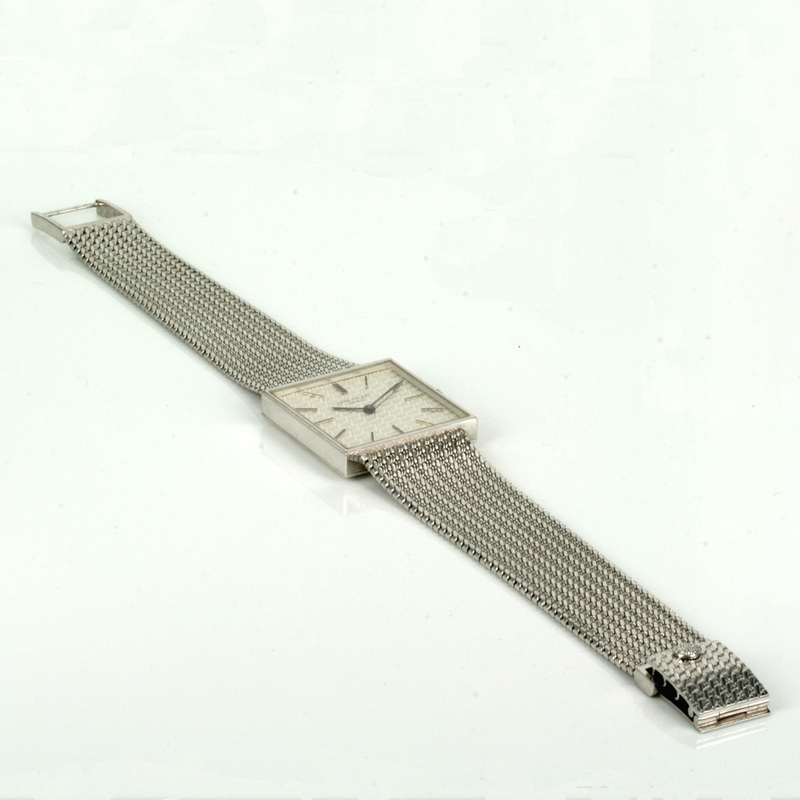 And here we have a very elegant and sophisticated 18ct white gold vintage Patek Philippe watch from the early 1970’s that is in impeccable condition. This is the Patek Philippe reference 3430 fitted with the superb 18 jewelled manual wind Patek Philippe calibre 23-300 which needless to say keeps perfect time and comes complete with our twelve month warranty. 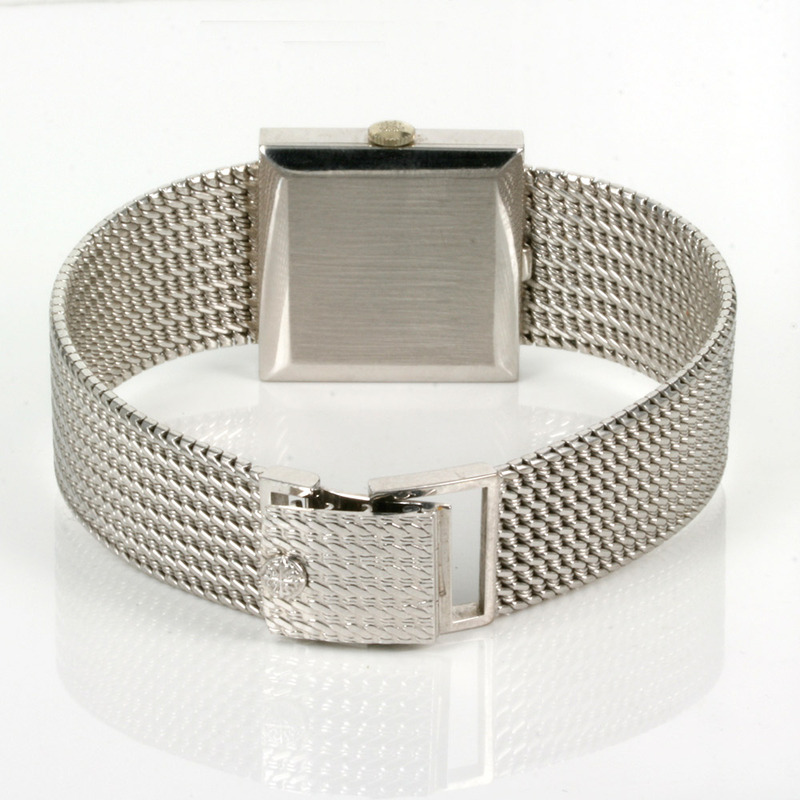 Both the case and the integrated band are in 18ct white gold and the watch case measures 26mm across plus the Patek Philippe crown and from end to end measures 20.5cm which is great to find as opposed to one that has been cut down in size. The dial and band both have a wonderful textured look to it that really looks so elegant on the wrist, and with the style of the band feels like velvet across the wrist. There is nothing quite like a Patek Philippe watch on your wrist, and this is just one example of why they are regarded so highly as the best of the best watchmakers.